Hello, Did you know that applying for a UNICAF Scholarship you could save over $10,000? 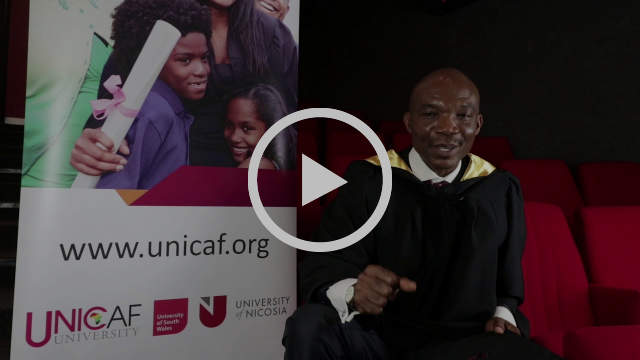 Apply for an up to 75% UNICAF Scholarship today and study for an Internationally Recognised degree at an affordable cost and in a flexible learning mode that fits your lifestyle, your work and family commitments. Why study through distance learning? • Flexible, 24/7 Online Access to Fit Your Lifestyle. Graduate on Campus! • Learn while working, taking advantage of a state-of-the-art online platform. • Pay only a small portion of the full programme's cost. • Pay the remaining balance in small monthly payments. APPLY NOW for a UNICAF scholarship and take the first step to build a brighter future for you and your loved ones.